Create Cartoon Images of Yourself with Caricature Maker Pro (Android / iOS) — Mobers.ORG — Your Daily Source For Mobile FUN! While many people have pictures of themselves and pictures it's rare to come across a cartoon drawing of an actual picture. With Caricature Maker Pro for the iOS and Android it allows you to draw a cartoon image over an existing photo and it actually turns out looking really well. 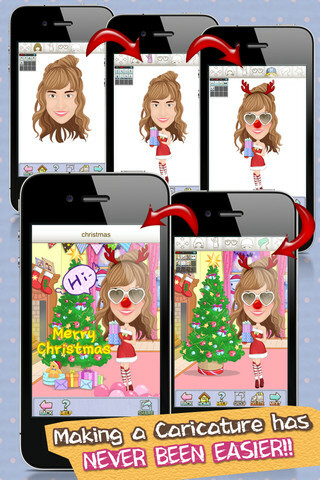 The app is extremely to use and is nowhere as complicated as using photoshop or any kind of software for professionals. 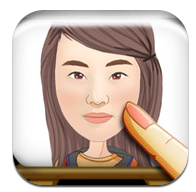 All you have to do is choose a photo and draw the lines around the features of your face and you can easily create a cartoon image of yourself within seconds. One interesting feature is you can also add background images and different accessories to add alittle entertainment to your picture. 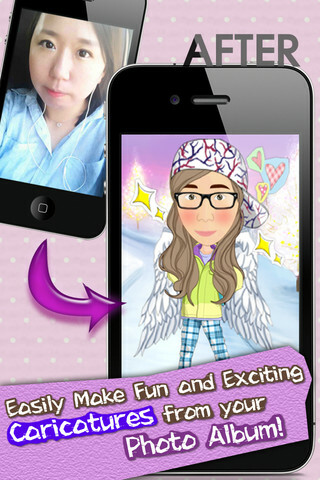 There are dozens of backgrounds, different styles of clothes, hats, glasses and more to create some hilarious photos. Another great feature is the single or couple mode. Maybe you a picture of you and your best friend or a significant other and creating a cartoon image of the other person is simple as well. 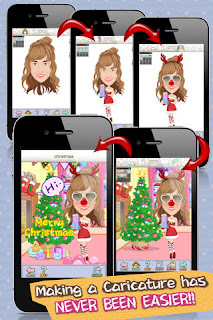 Overall this app is really fun to use and create realistic cartoon images of yourself which is a nice addition to your iPhone or Android app collection.